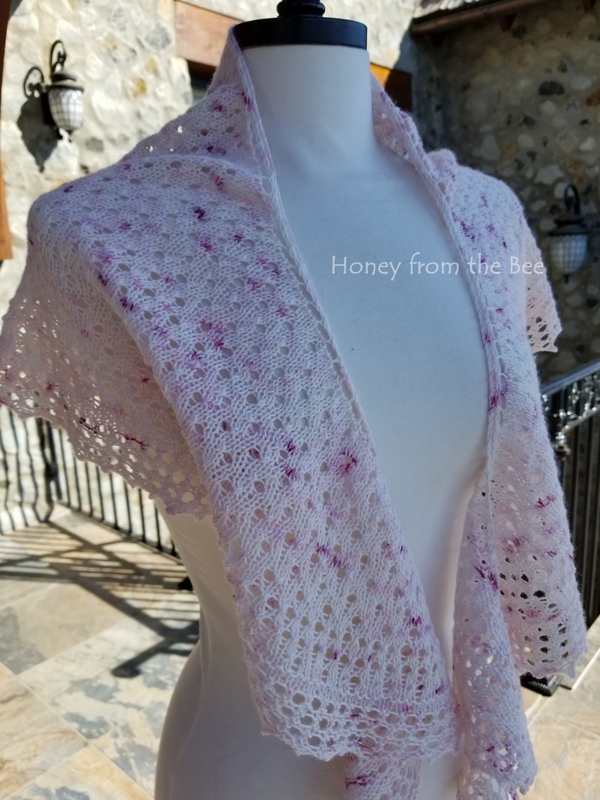 I loved how the pink and rose color splotches are scattered across this lightweight shawl. 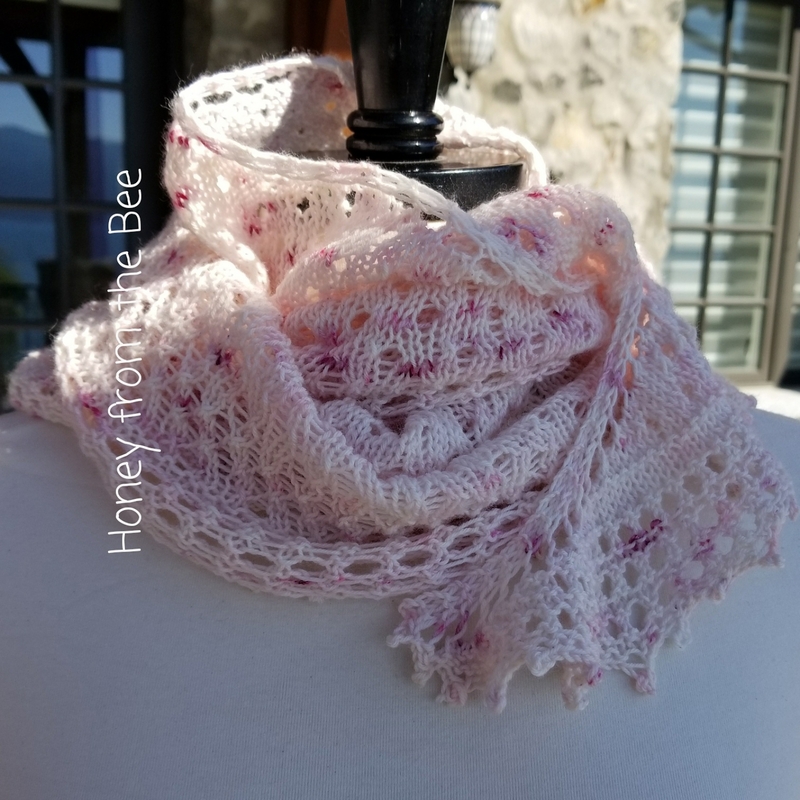 Such a pretty feminine yarn created a feminine shawl that can also be worn as a scarf. 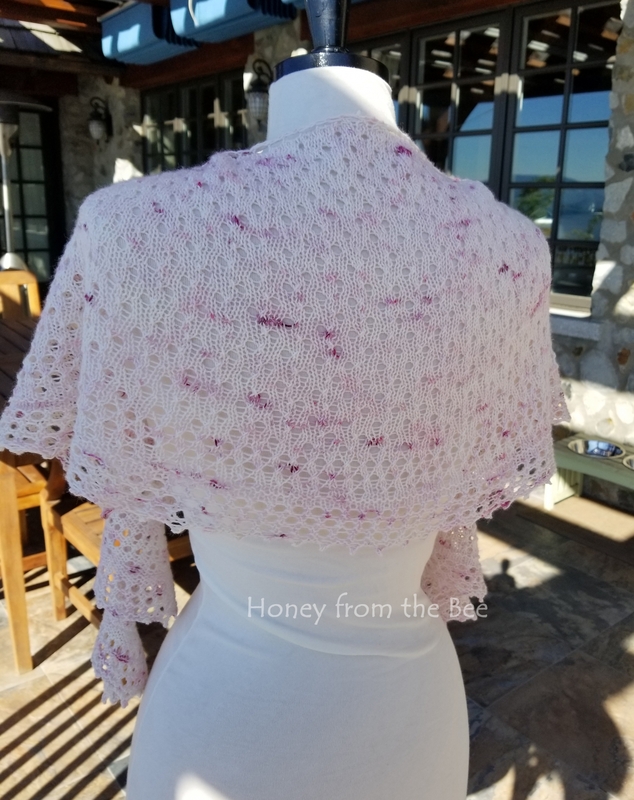 It has a wonderful shape that helps it stay on your shoulders. 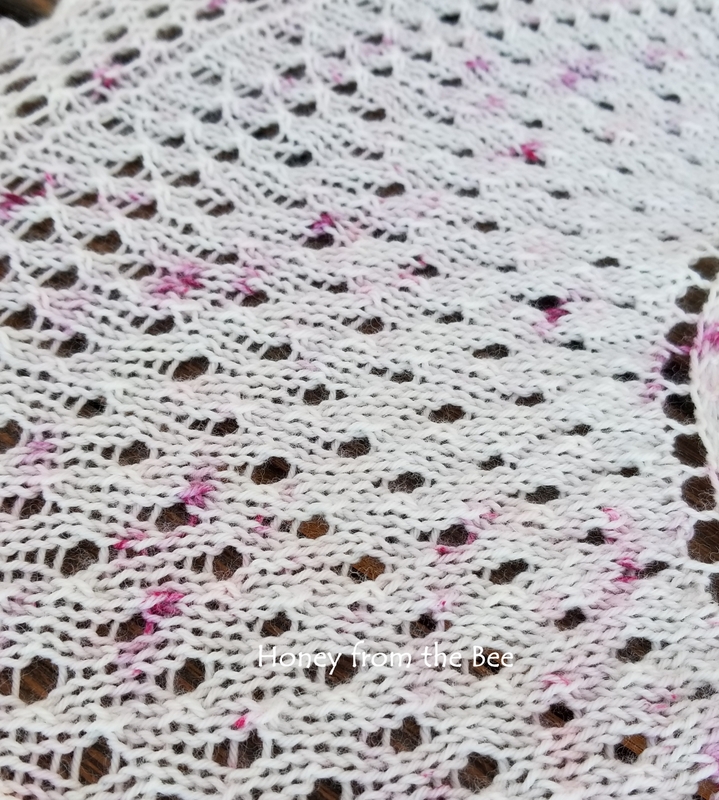 A handmade heirloom to be cherished. 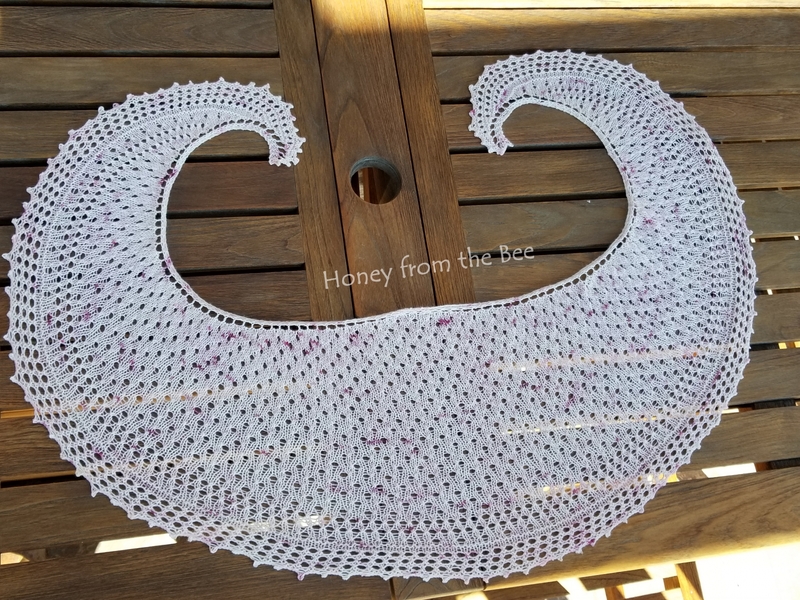 Care: Due to this being a lace piece, please handwash and dry flat if it becomes soiled. About 15" long at center.